Kamakura is today a small town 50 km far from Tokyo, but for a certain period some hundreds of years ago it was the biggest and the most important of Japan, during what that is called Kamakura period by historians. The town today can be considered a little Kyoto, with temples and shrines everywhere, some famous and some not. 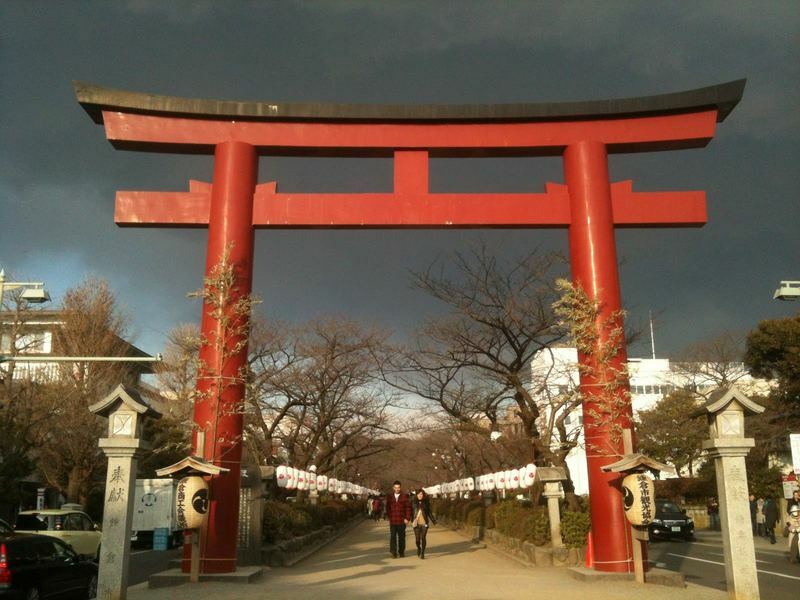 As regards shopping, the most famous street is Komachi dori, located just outside the east exit of Kamakura station, you will see it immediately because at the beginning of the street there is a large red torii. It is a narrow and very crowded street where to find various shops and restaurants, perfect to eat and buy souvenirs. Running parallel to Komachi dori, on the east, there is another famous street called Danzakura (or also Wakamiya-oji) famous for its sidewalk at the center surrounded by cherry trees, and that leads to the Tsurugaoka Hachimangu Shrine (a very important shrine, see below in the list of temples/shrines). I was able to track down and make a list of as many as 50 temples fiftytwo temples/shrines located in the town. For completeness I make a list of all temples of which I have found information, and put a symbol ( ) next to the most famous ones. 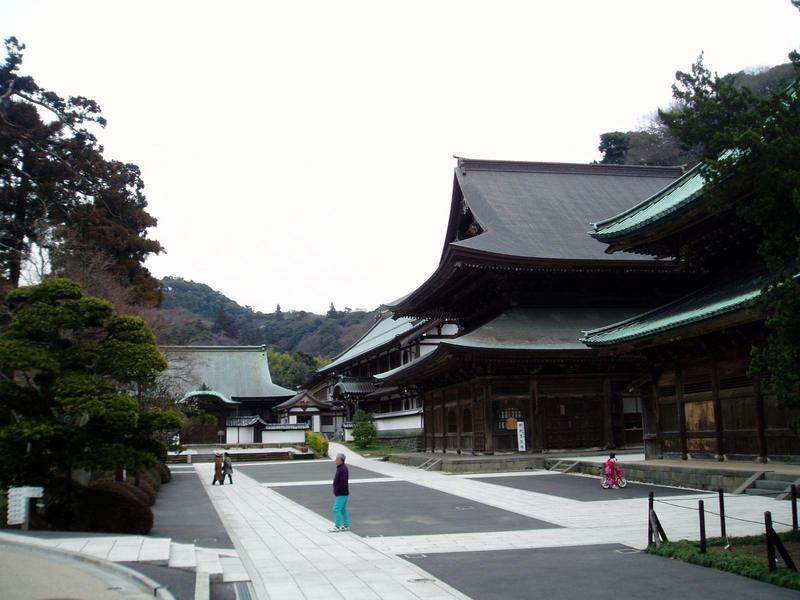 A large Buddhist temple founded in 1282 which includes several buildings. Inside there is also a "teahouse" with a relaxing view serving cups of tea, sake and very special noodles (tokoroten). 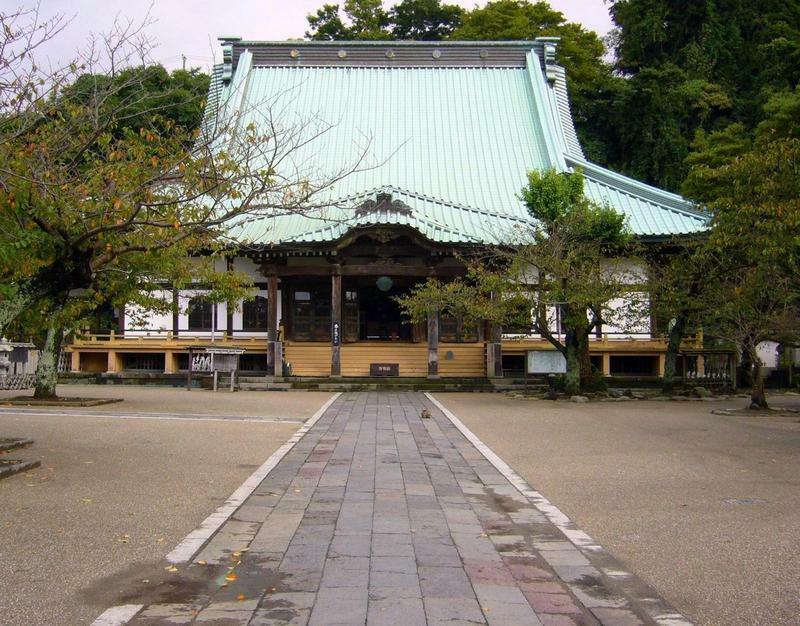 This temple was founded in 1285 by a woman, Kokusan-ni, in memory of her late husband, the shogun Hōjō Tokimune. It was called Enkiri Dera ("Temple of divorces") since it became a refuge for all those women battered by their husbands, in fact the temple allowed to all those who had lived there for at least 3 years to get a divorce (in those days it was very difficult to be obtained) and kept this "power" until 1873, and even up to 1902 the entry was forbidden to men. This Zen Buddhist temple is also called Ajisai-dera, from the Japanese word "ajisai" that means the hydrangeas. Around this temple there are in fact about 1500 of these flowers that bloom between June and July, during which the temple becomes very popular. 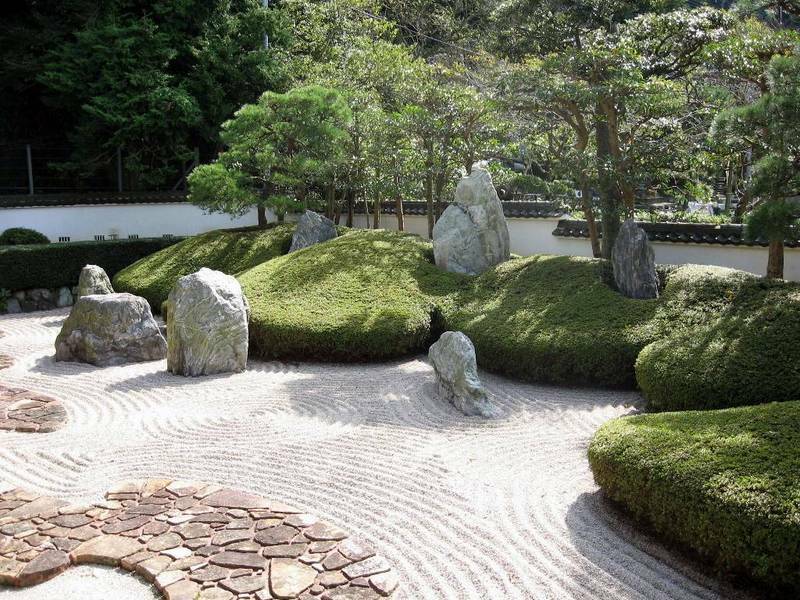 Like many Zen temples inside there are also a well kept Zen garden of plants and rocks. The most important and visited shinto shrine in Kamakura. 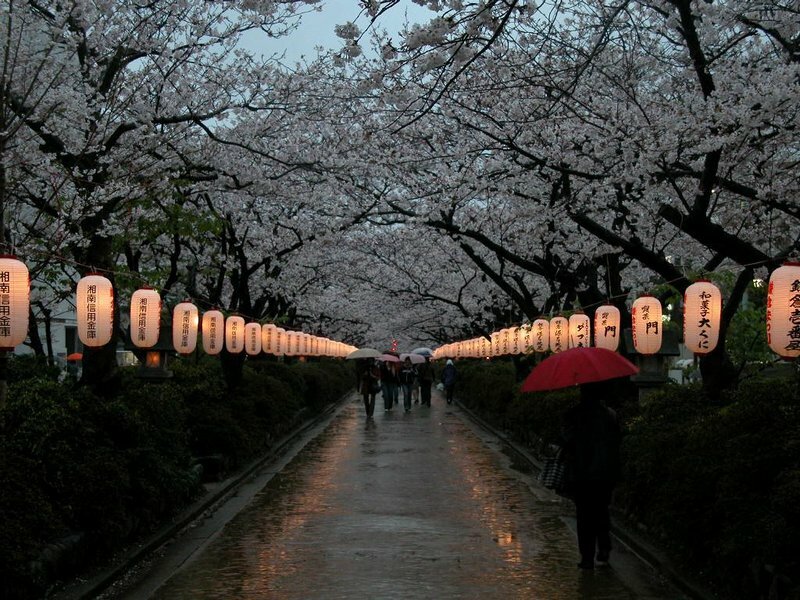 The main entrance of the shrine is located at the end of the cherry tree-lined Danzakura street east of Kamakura station. Immediately after the entrance, on your left and on your right there are two ponds, with various symbolisms representing one Minamoto Clan and the other the Clan Taiwa, two major rival families of Japanese history. 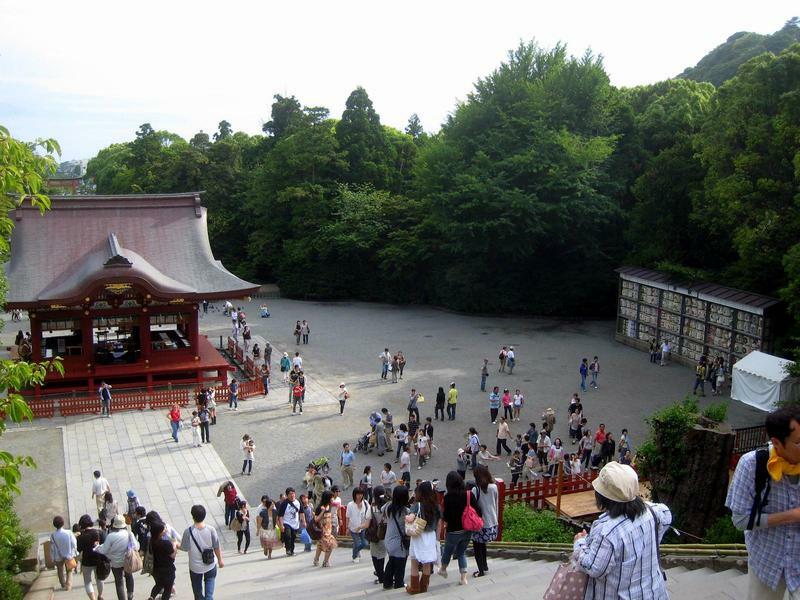 The main building, inside which there is also a small museum (admission 200 yen), is located on top of a stairway at the end of the main path of the shrine. This place is very popular for weddings, and especially for New Year celebrations (it is one of most visited shrines throughout Japan with an average of 2 million visits between January 1 and 3). Another very interesting event takes place in this place twice a year, on September 16 and the third Sunday of April, and consists of a performance of Yabusame, that is archery while riding a horse. A shrine on top of a long staircase, passing under dozens of torii (traditional shinto "gates"). Here more info and photos. Although it is not very large, it is one of the most visited places of the town, also famous for the "sacred waters" where to bless your money. A very small Shinto shrine inside the Genjiyama park (a very popular park for picnicking) that can be reached after a long walk uphill. One of the buildings belonging to the temple, the Amida Hall, contains some valuable statues and can be visited paying 200 yen (opened on thursdays, saturdays, sundays and national holidays, opening hours 10-12, 13-16). 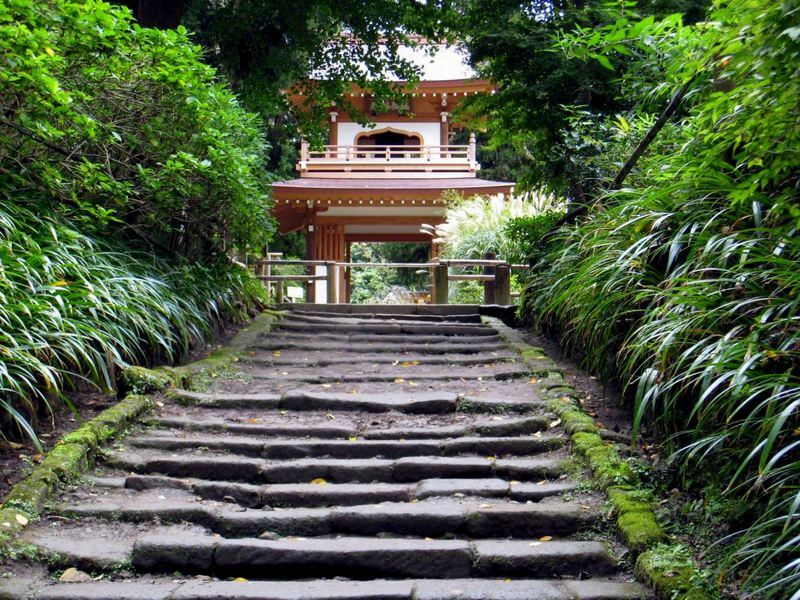 One of the most famous Zen Buddhist temples in Kamakura, especially for the Japanese rock garden created by the founder of the temple Muzzle Kokushi and considered one of the greatest Japanese Zen gardens creators of all times. 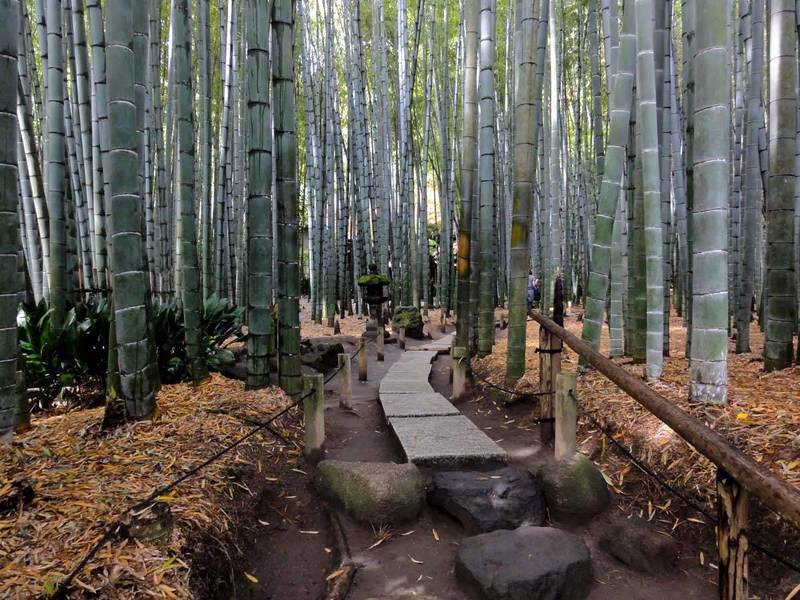 A Zen Buddhist temple famous for the little bamboo forest located inside and that is accessible paying 200 yen. A Shinto shrine dedicated to Sugawara Michizane, the Shinto deity of culture, a place of pray for students, for example before an important exam. 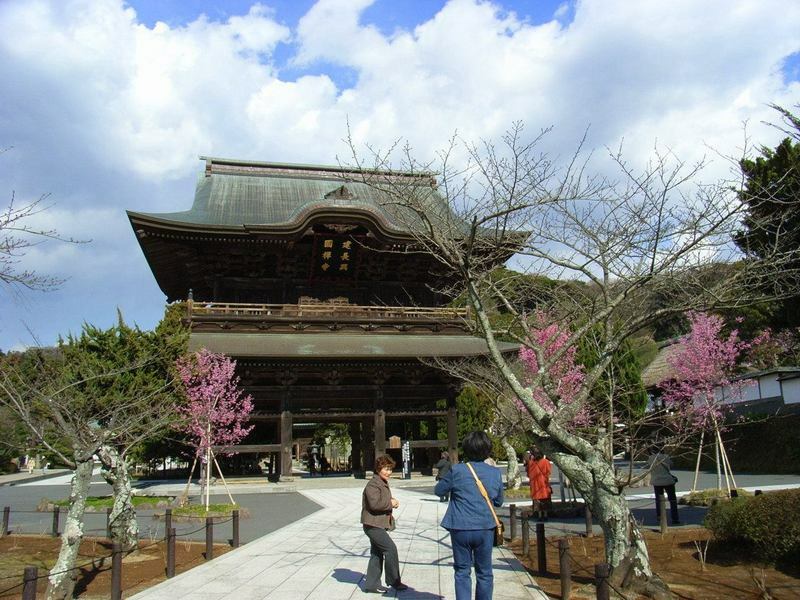 The temple is surrounded by trees and flowers of "Japanese apricot" (in japanese called Ume), that bloom in spring. A temple famous mainly because inside there is the best known attraction of Kamakura, a giant statue of Buddha. One of the most famous Buddhist temples of Kamakura, with a fantastic view over the town. it is located at the west of the town's beach, one of the few temples built facing the sea, maybe even the only one. The Karesansui Garden belongs to this temple: it is a very interesting rock garden, because it is almost unknown to tourists so it can be admired peacefully, and because usually this type of garden is located within Zen Buddhist temples, while the Komyoji belongs to the Jodo sect of Buddhism. 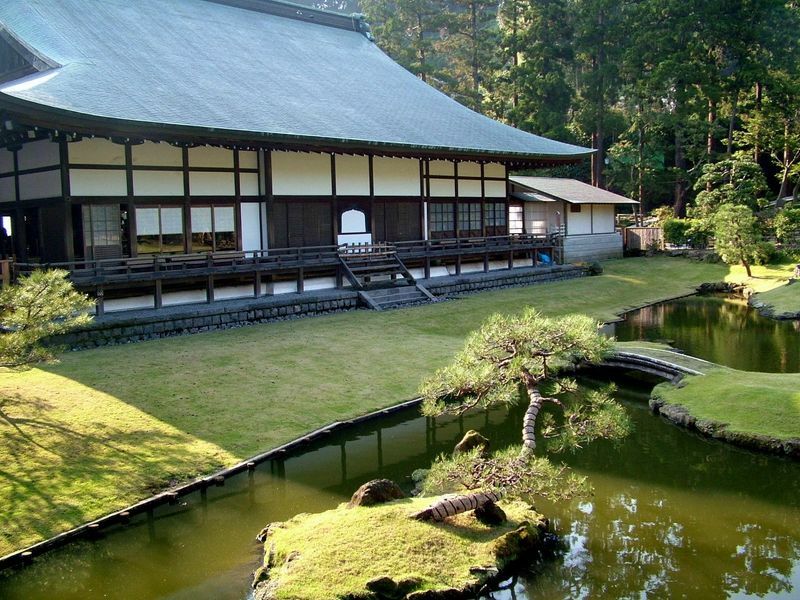 The main "attraction" of this temple is a long stairway leading to the main building, which is entirely covered with moss, in fact, the temple is also called "Kokedera" which in Japanese means "Temple of moss". 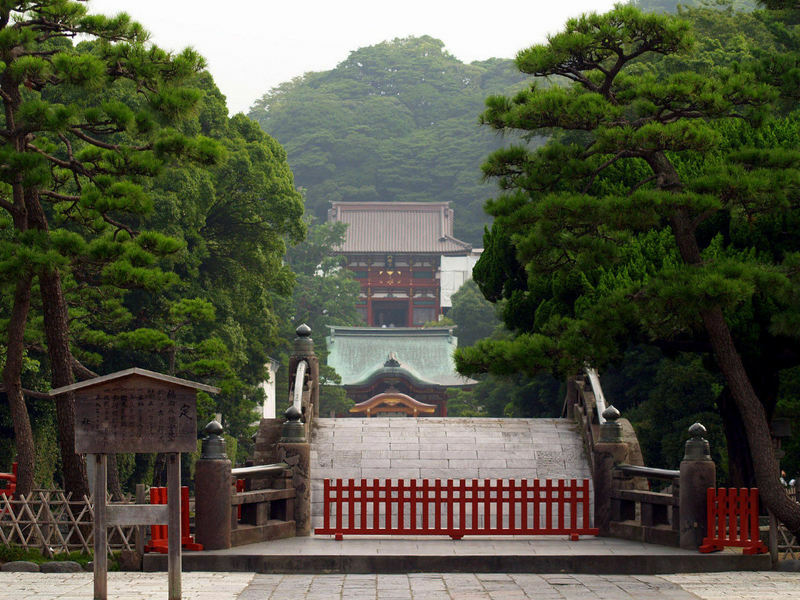 A famous temple for azalea flowers that surround it and bloom in spring. In the small cemetery attached to the temple there is the grave of the world famous film director Akira Kurosawa. 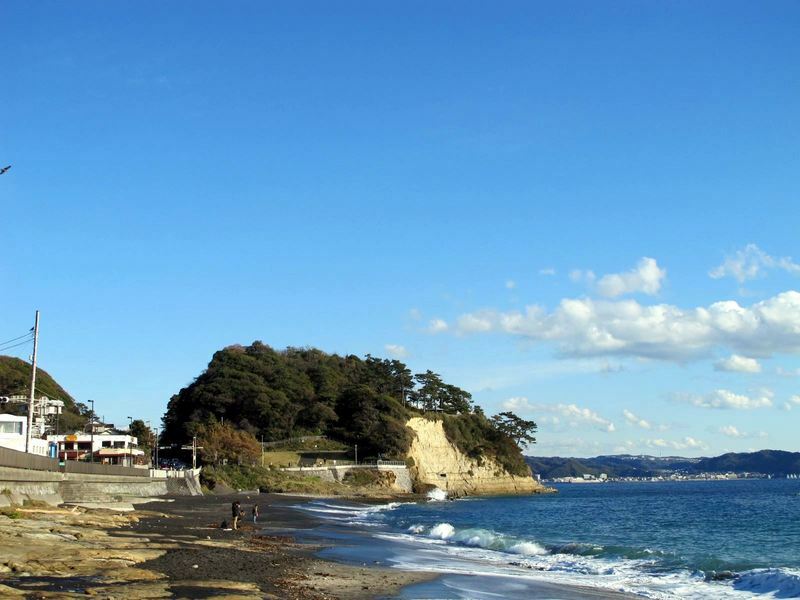 Kamakura is also one of the most famous places in the Tokyo area for the seaside tourism. 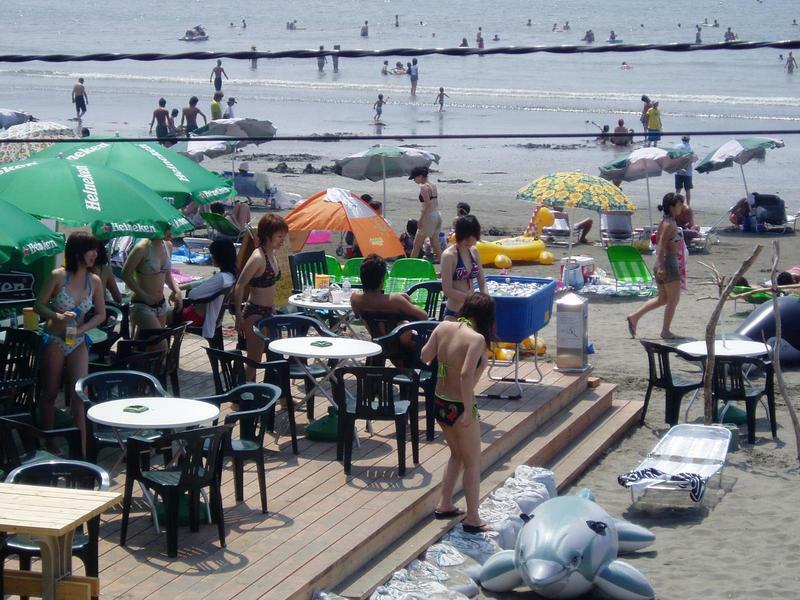 The town is a popular destination during the summer for beach tourism, from late June to late August the beaches are usually full of people, although "sunbathing" is not at all part of their culture (it is not uncommon to see people dressed under the sun on the beach). I don't say anything about the water (temperature, pollution) because I never got the idea to take a bath, however, with the exception of Okinawa, I never heard good things about the Japanese sea. During the rest of the year the beaches are empty but the waters are still full of people surfing and practicing various other sports that need wind, the area is in fact quite windy (we are in front of the Pacific Ocean!). 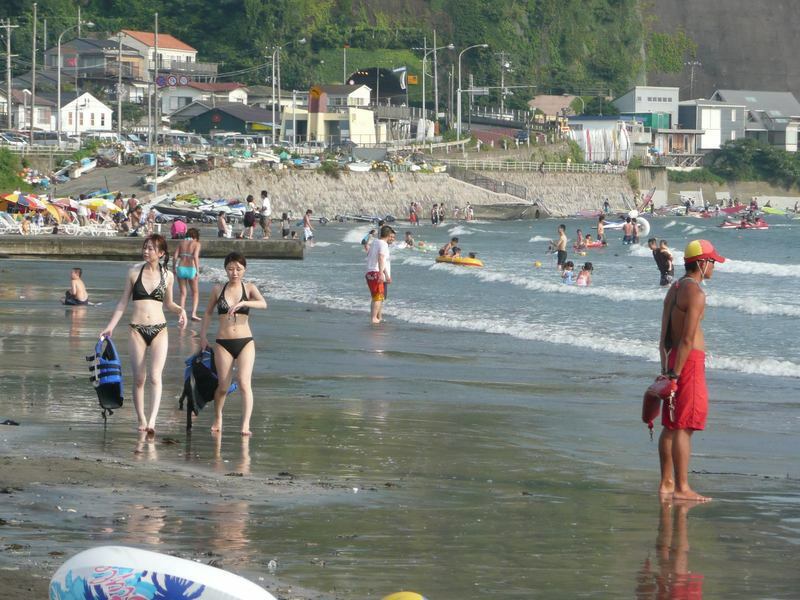 The main beaches, The main beaches, very wide and with a usually calm sea because within a bay, are Zaimokuza and Yuigahama, respectively east and west of the river that runs through Kamakura (Namerigawa, 滑川), and are easily reachable on foot from anywhere in the city walking south. Hase and Yuigahama along the Enoshima Electric Railway (that you can take from Kamakura station) are very close to Yuigahama beach. West of Yuigahama, closing the bay, there is the Inamuragasaki cape (closest station: Inamuragasaki station along the Enoshima Electric Railway). 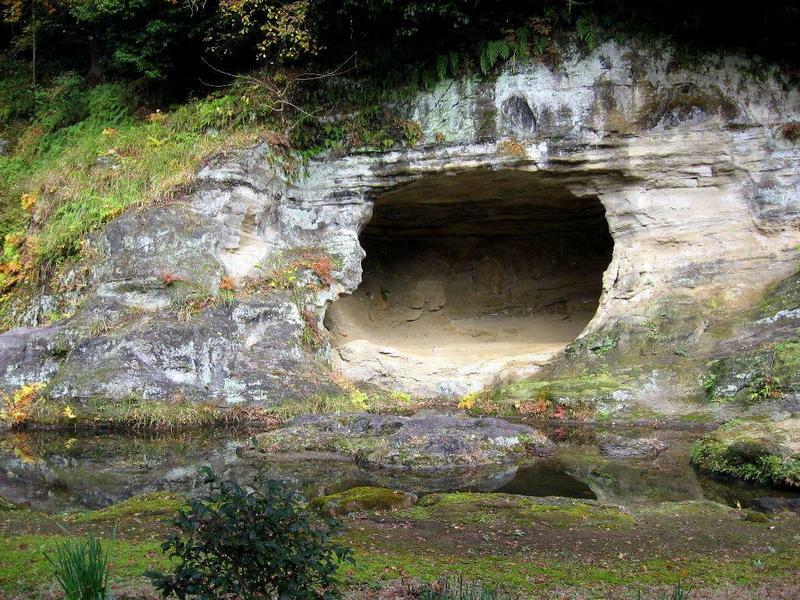 This is a place that has a relevant historical importance, it was in fact one of the natural defenses of the town when Kamakura was the capital, and was passed by the troops of Nitta Yoshisada in 1333, thus beginning to the siege of the town that will lead to the end of the Kamakura period. At the end of the promontory today there is the Inamuragasaki koen (稲村ケ崎海浜公園), a always opened park from where you can admire the sea, and Enoshima island in the background. West of Inamuragasaki there is another very long beach, Shichirigahama, that is about 4 km long (but it is rather narrow) that almost reaches Enoshima. 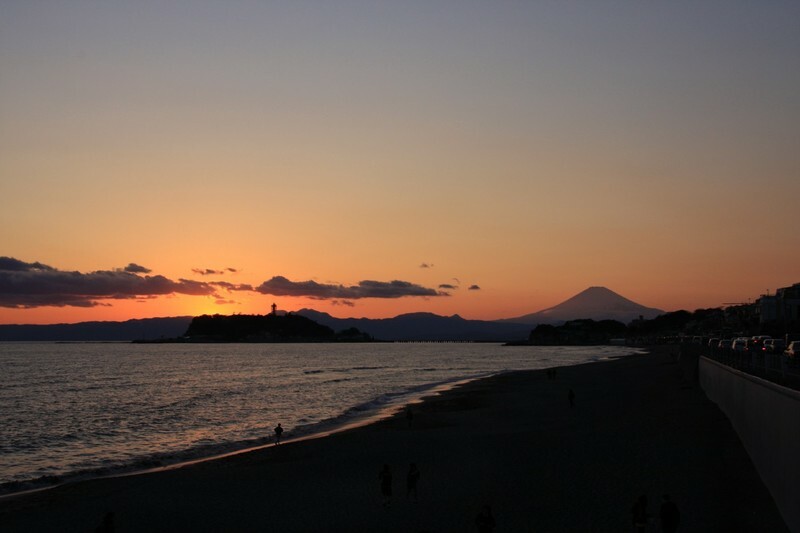 It is considered one of the 100 most beautiful scenic beaches of Japan, from there you can see the Inamuragasaki cape, the island of Enoshima, and sometimes Mount Fuji, However, it is one of the least popular among swimmers because of the deep water, while is a favorite of surfers being more open and therefore more windy than others. The Enoshima Electric Railway railtracks run parallel to the coast, with some stops in front of the beach before heading to Enoshima and Fujisawa: Inamuragasaki station, Shichirigahama station, Kamakurakokomae station (see map at the bottom). Due to the proximity to Tokyo and Yokohama, very few tourists decide to spend a night in Kamakura, and the offer of places to stay is very low. A small foreign-friendly guest house, 150 meters far from the waterfront, 700 meters from the famous Great Buddha, 200 meters from Hase station, from which you can easily move along the coast up to Enoshima through the Enoshima line, or get to Kamakura station in 5 minutes. Dormitory beds from 3500¥, or double/twin rooms from 8000¥. Within the house there is also a small lounge bar (cocktails ¥500), therefore an excellent place to meet other people, usually all Japanese. Breakfast 500¥, washing machine 500¥, towel 100¥. -the JR Shonan-Shinjuku line, although not all trains of this lines stop at Kamakura, only those heading to Zushi. You can take this line from Ikebukuro (890 yen, 64 minutes), Shinjuku (890 yen, 580 minutes), Shibuya (890 yen, 53 minutes), Yokohama (330 yen, 24 minutes). Another alternative, very good especially if you are planning to visit also Enoshima, is to use the Odakyu railways private company, that from Shinjuku takes you to Fujisawa station in 67 minutes and costs 570 yen one way. Then from Fujisawa you can take the Enoshima Electric Railway (Enoden) that stops also at Enoshima station (so you will visit Enoshima before Kamakura), Hase station (close to theGreat Budda of Kamakura) and at last at Kamakura station. This pass is the cheapest way to visit Kamakura and Enoshima (but even just Kamakura, although in this case is a slower option). You can buy it at any Odakyu station, particularly it's easier to buy it at Shinjuku station. It costs 1430 yen and includes a return ticket from Shinjuku to Fujisawa + unlimited use of the Enoshima Electric Railway (Enoden) for one day, So you can move as many times as you want between Kamakura station and Fujisawa station stopping at Hase, Inamuragasaki, Enoshima, etc.